Do you suffer from a fertility health condition that causes you pain? Consider adding turmeric to your nutritional supplement program or easier yet, add this gentle, yet powerful medicinal herb to your fertility diet. Turmeric, the golden spice, is a component of Indian curry, is used in Asian cooking and gives color to yellow mustard, a popular American condiment. It is the golden to orange-colored rhizome of the Curcuma longa plant, a close relative of Ginger. The polyphenol curcumin is turmeric’s active constituent that provides the medicinal value it is touted for – most notably as an herbal anti-inflammatory. Turmeric enhances the body’s ability to suppress inflammation by depleting the neurotransmitter responsible for pain, technically named neuropeptide substance P (polyphenols are known to do this as well as increase resistance to disease), and is analgesic or pain-relieving. Turmeric is also a powerful antioxidant that has the ability to help the body fight free radicals, which hinders tissue degeneration and inhibits pro-inflammatory molecules. “In vitro testing has found that this compound scavenges free radicals and protects DNA from oxidative damage. Interestingly, not only does curcumin have its own antioxidant properties, it also appears to enhance the strength of other antioxidants,” shares Dr. Edward Group DC, NP, DACBN, DCBCN, DABFM, for Global Healing Center. This potent antioxidant protects the liver, may even regenerate liver cells and, in part, stimulates the enzymes within the body that are responsible for flushing toxins from the body. This is important because, as the master detoxifier, the liver and liver health are critical for hormonal balance. Research has also proven turmeric instrumental as an antioxidant and anti-inflammatory for cardiovascular and musculoskeletal health (Nutrition & Herbs for Chronic Musculoskeletal Pain), as a digestive stimulant and an antimicrobial when used topically. Studies have been conducted to evaluate the benefit of turmeric and curcumin use for arthritis, Alzheimer’s disease, HIV, HPV, and for inhibiting carcinogenesis (cancer formation) and tumor promotion (Current Pharmaceutical Design). Powdered rhizome: 1 teaspoon (approx. 4 g) 1-2 times a day added to your fertility diet. Note: For your information; research is inconclusive, but has shown that turmeric is poorly absorbed on its own, but when black pepper is added, blood serum levels of curcumin increases dramatically (Planta Medica). This is why black pepper is often a component of many recipes including turmeric. Another way to ensure proper absorption of turmeric is to take it with a meal that contains fat, such as coconut oil. Here are four easy, tasty ways to incorporate turmeric into one’s Fertility Diet. Make a basic Turmeric Tea that can then be transformed into Turmeric Chai, a dairy-free Turmeric Latte and/or a Turmeric Fertility Smoothie. Brew – place water, turmeric, and ginger in a non-reactive stainless steel or ceramic pot, bring to a gentle rolling boil, then reduce heat, cover and simmer for 10 minutes. Strain the tea through a fine strainer or cheesecloth-lined strainer. If you wish add a splash of fresh-squeezed lemon juice or raw honey to taste. Brew – place water spices in a non-reactive stainless steel or ceramic pot, bring to a gentle rolling boil, then reduce heat and simmer for 10 minutes. Strain the tea through a fine strainer or cheesecloth lined strainer. Let cool and add 1 cup of fresh homemade almond milk or coconut milk, plus sweetener of your choice like real maple syrup, 1 teaspoon local raw honey or Active Bee Power Royal Jelly** (either are my personal choice) or stevia. *Ground cinnamon should not be substituted for a cinnamon stick. It becomes mucilaginous and bitter when cooked, making this tea gritty and hard to strain. When cooled a bit (no longer steaming), blend ingredients in a blender for several minutes until frothy (please don’t blend the mixture when hot). Pour in your favorite mug and enjoy! Pineapple, mango, and turmeric have anti-inflammatory benefits, while chia and hemp seeds add fiber and provide essential fatty acids. Royal Jelly and Maca are nourishing fertility superfoods that provide a variety of nutrients, support endocrine system function and, in turn, hormone balance, egg health, and healthy estrogen levels. **Do not add raw honey or Active Bee Power Royal Jelly to hot or boiling liquid. Do not use if you have a known bee allergy. There is a mild potential for allergic reaction to turmeric, although rare. According to the German Commission E, turmeric is contraindicated for persons with gallstones who should consult their healthcare provider before using turmeric, as should those with ulcers, hepatitis or jaundice, who are having surgery, and who have clotting disorders, or are taking antiplatelet or anticoagulant drugs. Is Turmeric Safe for Pregnancy? Turmeric used in preparation for pregnancy at the recommended dose has no known side effects. Each resource I examined had a differing view on its use in pregnancy. Many referred to its ability to help stretch ligaments making it cautioned in pregnancy. Please make a personal, educated decision on the use of turmeric during your pregnancy. Turmeric stands up to its name as the golden spice. It is listed as far back as 600 BC in an Assyrian herbal monograph and mentioned in the writings of Dioscorides, the Greek physician who wrote the book that is said to have inspired modern research into medicines, called De Materia Medica. In the 19th century it was even used as a hair dye. Beyond this, turmeric is one of the more extensively studied medicinal, culinary herbs readily available to herbalists today. Mills, S., & Bone, K. (2000). Materia Medica. In Principles and practice of phytotherapy: Modern herbal medicine (pp. 569-578). Edinburgh: Churchill Livingstone. Ruhter, E., & Warner, N. (2010). Nutritional Sources of Anti-Inflammatory Agents and Pain Relievers: Antimicrobial and Anti-inflammatory Botanicals. In Nutrition & Herbs for Chronic Musculoskeletal Pain (pp. 15-18) [Master’s Thesis]. St. Paul, MN: Ruhter & Warner. Many resources sell Turmeric, even grocery stores. Prices will vary. Many resources offer Red Raspberry Leaf and it can be wild harvested. Prices will vary. The Natural Fertility Shop sells Red Raspberry leaf. Two ounces is $11.95 + shipping. I have PCOS and fertility issues because of a high LH to FSH ratio. I read that turmeric increases testosterone. Would it also raise my LH levels too? I’m not sure if I should continue taking it. I have not read what you have. Turmeric does not contain or have a direct impact on hormone levels. The way that it may support hormonal balance is by nourishing the endocrine system and quelling inflammation. Hi. Sir. Yellow milk is very good. My bp drop. cholesterol many many year 7.6. Try a lot of things cannot work. Only yellow milk i take it drop to 5.6. It should be 5.2. It improved a lot i am very glad. I keep on drinking every night. But i have put on a lot of weight. How to slim down? I want to maintain my cholesterol. Thank you. I am so glad to hear of your results from including “golden milk” or Turmeric milk into your diet. Diet and daily moderate exercise are important for maintaining a healthy weight. You may appreciate the tip we share in our guide, Fertility Tip – 10 Steps to Sustained Weight Loss & Achieving a Healthy Weight. I hope you find some tips helpful! I am a 40 year old woman, I was told by a gyno that i could never have children without fertility help, I chose not to go this route and decided that i would be fine without children, I was married for 6 years and never on birth control, i had back surgery last year and had a lot of inflammation from the nerve damage and was taking ibuprofin daily until my stomach began to ache, my friend recomended turmeric and i began to take it daily, I didnt know it helped with fertility issues as well and after taking it for 5 months i became pregnant, imagine my shock… i checked to make sure it was safe to continue to take during pregnancy and discovered that it helped me become pregnant.. I am TTC, I work far from the city, is taking turmeric alone with maybe lemon and honey able to assist. I get to the city only month end but want to start taking now? Turmeric can be consumed with lemon and honey in moderation while trying to conceive. As you have read in this article, the food herb turmeric can offer many benefits. Whether it alone will all you will need to be able to conceive, I do not know. 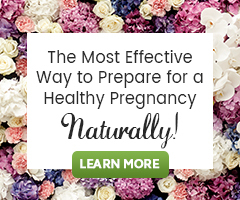 It could however be considered a part of your natural conception program if you felt your body needs its benefits. I took curcumin for a couple of years to help with endometriosis, my partner also took it to alleviate joint paint, I’m a great advocate of it’s beneficial properties. Nevertheless we stopped a few months ago when I learned of it’s Ayurveda uses as a natural contraceptive and ability to adversely affect sperm health. There are so many uses of herbs medicinally at a variety of dosages. I am not an Ayurvedic practitioner and am not sure what you read (I am interested in reading it though! ), but I’ve not seen evidence that turmeric when used as shared in this article, or as a food herb, seasoning and in a beverages (as one used cooking herbs in the kitchen), acts as a contraceptive. Thank you for sharing your experience with turmeric! Does turmeric stop you from getting pregnant? Turmeric used as a food herb and as recommended by herbalists and natural healthcare providers is not known to inhibit pregnancy. I wasn’t clear if it is ok to be taken while trying to conceive. In other sites it seemed like it causes uterus contractors (which would prevent conception). Please, advice. Through our research, yes, we find it safe to consume Turmeric while trying to conceive. We haven’t come across information stating it causes uterine contractions. I would be interested to read the information you speak of. I am currently taking 400 mg of C3 curcumin complex/day. We are also TTC. Should taking this supplement 1 x/day effect our process? I began taking for the anti-inflammatory properties, but if I should stop taking while TTC I can do that. Curcumin, the most active constituent in Turmeric is fine to take while trying to conceive. Should you become pregnancy while supplementing with this, it would be best to talk to your doctor about its safety for use in pregnancy. Thanks for this article. Is it safe to regularly consume turmeric in a hot drink during the luteal phase to warm the womb while TTC? Does the spice’s anti-flammatory properties present any problems to conception? You are welcome! I enjoyed creating these recipes! Turmeric is fine to consume in moderation while preparing for conception. As I have shared, please make a personal, educated decision on the use of turmeric during your pregnancy. There are differing thoughts about its actions in pregnancy, but as a food it is not contraindicated in pregnancy to my knowledge.